With a hip restaurant scene, world-class public parks and easy access to downtown Boston, Jamaica Plain’s Forest Hills neighborhood offers the best of urban living. The growing demand for housing and services transformed a quite rural enclave into a diverse and thriving urban community. As one of the nation’s first street-car suburbs, the area experienced rapid growth at the turn of the century when it became home to working class Bostonians who were employed in local mills and breweries. With the arrival of the re-designed Orange Line in 1987, Forest Hills saw an influx of new residents who were attracted to newly converted condos close to the city center. Recently, the Casey Arborway project and reconstruction of Forest Hills MBTA Station streamlined transportation around Hyde Park Ave and encouraged new transit-oriented apartment and condo developments. Forest Hills is one of Boston’s most diverse neighborhoods and boasts a rich and varied housing stock. From traditional Victorian single-family homes, classic triple-deckers and new construction condos, there’s something for everyone. The area has many well-preserved turn-of-the-century homes in a variety of architectural styles including Victorian, Shingle Style, Queen Anne, Craftsman, and Colonial Revival. You may find original details like hardwood floors, front and rear porches, built-ins and, occasionally a fireplace. Homes in the Woodbourne historic district were inspired by the garden city model and encouraged middle-class families to buy single family homes in the city. The arts and crafts style homes were symmetrically placed around small parks and common yards. Each home was carefully designed to integrate into the landscape of the area and respect the natural features of the building site. Recently Forest Hills has experienced a housing boom with modern full-service apartment complexes like MetroMark and energy efficient condo developments like Tilia Jamaica Plain. While much of the new construction has been limited to apartments, several innovative condo developments are under construction or have opened this year. 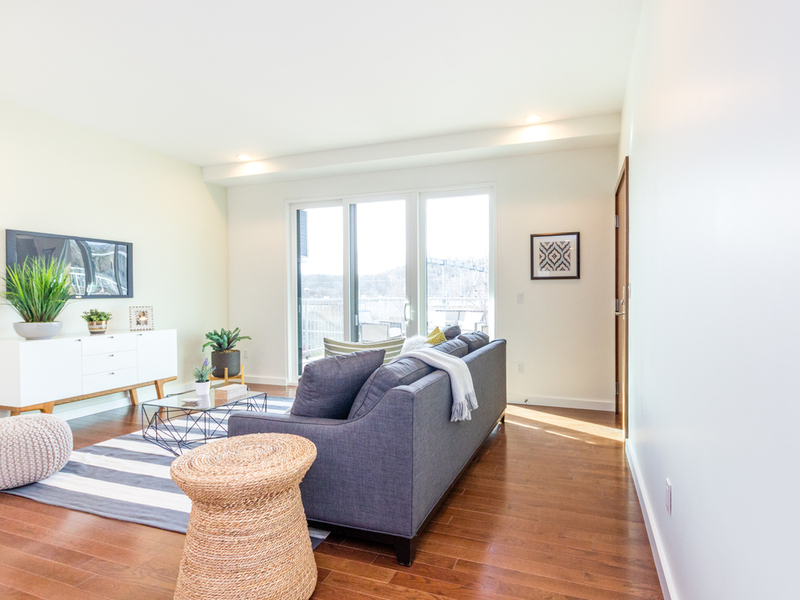 This spring closings began at Tilia Jamaica Plain a 24-unit complex designed to meet strict LEED certification standards. These open concept floor plan homes feature double-wall construction, triple-glazed windows and energy efficient heating and cooling systems. Each unit includes direct access garage parking, decks and ample storage for bikes. Located steps from Forest Hills station, owners will have access to electric car charging station and an exclusive pocket park. While Boston’s complex permitting process and limited buildable lots make new construction difficult, these projects created much-needed housing inventory, developed underutilized parcels and responded to market demand for energy efficient transit-oriented housing. With access to the MBTA Orange Line and 16 bus and commuter rail lines, the Forest Hills station transportation hub makes commuting a breeze. Many of Boston’s downtown neighborhoods are a 10-15-minute subway ride away. Savvy residents take a 12-minute ride on the Needham commuter rail line to South Station and connect to the Silver Line (SL1) to the Seaport District. The 39 bus route along Centre Street serves Longwood Medical Area, Harvard Medical School, Museum of Fine Arts, Northeastern University and historic Back Bay. Ready for a day-trip? Hop in a Zipcar at Forest Hills Station or at MetroMark Apartments one block away. Southwest Corridor Park is a 4-mile greenway that connects Forest Hills to the South End, Fort Hill, and Back Bay. The street-level green space has abundant recreational facilities including playgrounds, tennis courts and miles of trails for biking and hiking. Harvard University’s Arnold Arboretum is one of the largest botanical gardens in the world. The Arboretum, as locals call it, is a vital link in Fredrick Law Olmstead’s Emerald Necklace. With over 7000 species of plants, including an acclaimed Bonsai collection. Forest Hills Cemetery is considered one of the most beautiful green spaces in Boston. It was modeled after European burial parks and features many notable monuments including the work of sculptor by Daniel Chester French. 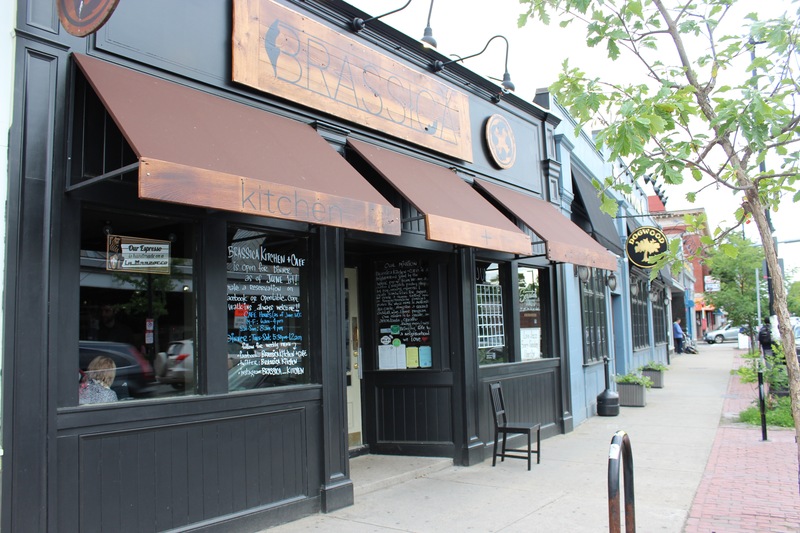 Brassica Kitchen + Café is a go-to local spot that serves breakfast, lunch and dinner daily. The menu focuses on fresh, local sourced ingredients with scratch pastries made daily. Dogwood Café has a casual neighborhood vibe and serves a variety of craft beers. The menu has something for everyone and includes small plates and traditional hearty fare. On the weekend enjoy live music. The brick oven pizza is not to be missed! Simpli Bar and Bites is a cozy casual neighborhood place is just a 5 minute walk from Forest Hills station just over the line in Roslindale. With a full bar, and a welcoming patio Simpli is perfect place for a casual brunch, a delicious burger or refreshing cocktail. Tiki Marsala offers traditional Indian food in a fun and friendly setting. With a variety of options for Vegans and Vegetarians. Popular for take-out. Achilitos fresh & spicy tacos will be opening soon near Forrest Hills station. This taco spot brings something new to Hyde Park Ave.
Mike’s Donuts is the perfect place to grab a coffee or a classic donut. Conveniently located inside Forest Hills station, Mike’s is the go-to coffee and breakfast takeout spot. Harvest Co-op Market is a community owned cooperative food market that specializes in natural, organic, local fair trade and commercial food. Located on Washington St, steps from Forest Hills Station. To learn more about Forest Hills, visit the Jamaica Plain Historical Society website or join one of the free educational walking tours of the area. 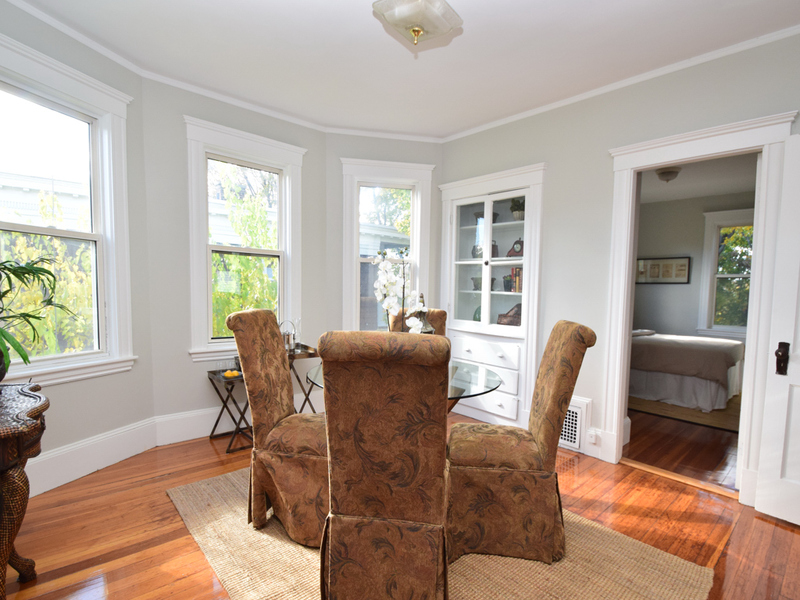 If you have questions about the Jamaica Plain real estate market or would like to learn more about recent listings in the area, don’t hesitate the reach out to us. We live and work in the neighborhoods we serve and would love the help you find your dream home in Jamaica Plain.